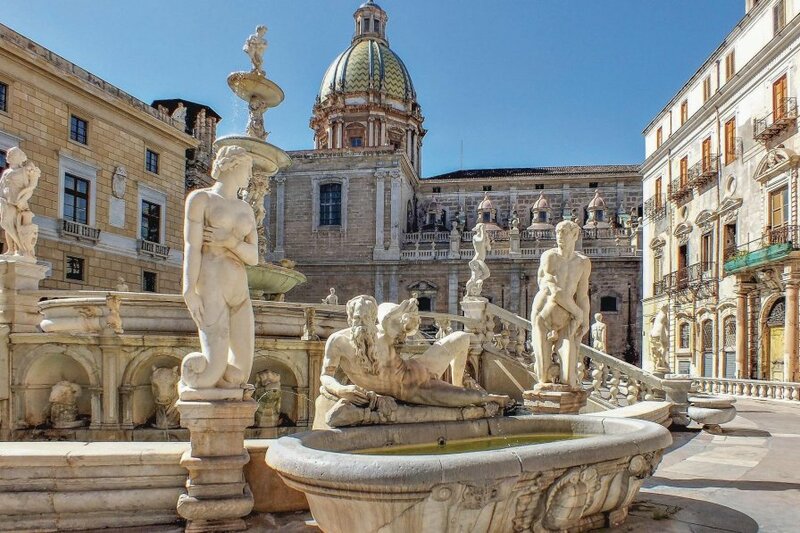 Holiday apartment located in the historic center of Palermo, a few steps from the Palazzo dei Normanni, with the Palatine Chapel with its marvelous mosaics. Holiday apartment located in the historic center of Palermo, a few steps from the Palazzo dei Normanni, with the Palatine Chapel with its marvelous mosaics, and from San Giovanni degli Eremiti with its Arabian domes, but also close to the historical and characteristic market of Ballarò.This delightful apartment is the ideal starting point to visit Palermo with its immense cultural and architectural heritage such as the Cathedral, the church of Casa Professa, the Theaters Massimo and Politeama, as well as all the famous palaces and museums. The railway station and the bus terminal are about 300 metres from the apartment to facilitate those who wish to visit the surroundings such as Mondello or Monreale. 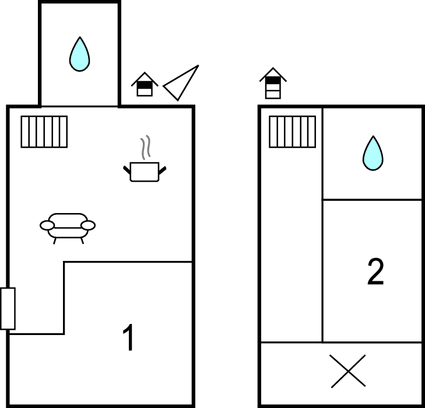 The apartment is spread over two floors, the first level includes a kitchen, a double bedroom and a bathroom, the second level is an attic with a height of about 1.80 m and includes a double bedroom and a bathroom. This apartment is made from brick or stone and was originally built in 1930 and refurbished in 2018. The agent has rated it as a three star property so it is a well-kept apartment, equipped with standard furniture. It is also good value for money. The apartment is only 5 metres from Palermo. The nearest airport is only 32km away. It is set in a good location, 8km away from a sandy beach. There's also a restaurant only 200 metres away. The apartment has free wireless internet. The apartment is adequately equipped: it has a refrigerator and washing machine.